Product information "Sweet Georgia Brown Hair Dressing Pomade ("Red")"
Everything about this pomade is great: The scent, the holding ability and the gloss.Ideal as a styling tool for your first use of pomades. 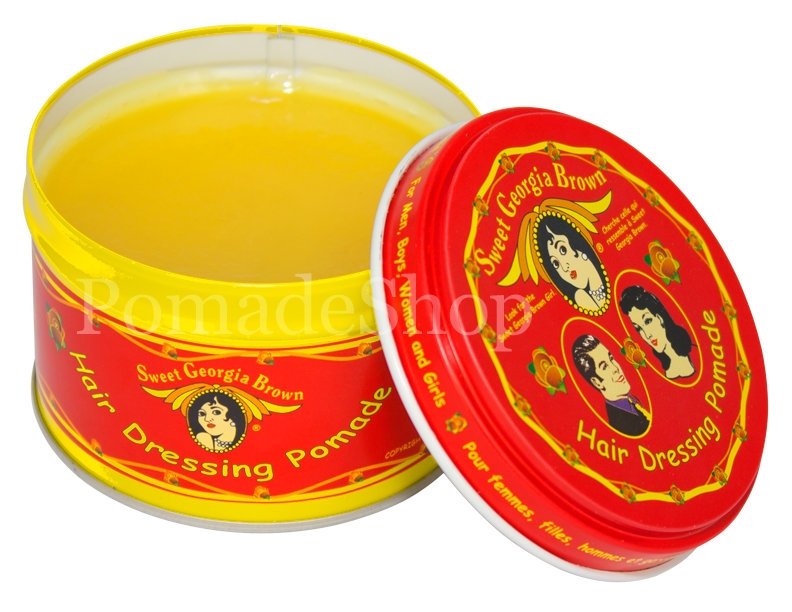 The "Sweet Georgia Brown Hair Dressing Pomade" is a stunning, medium-firm pomade, originally from Chicago. Since 1934 to the present this same formula has been used because of its pleasing results. "Sweet Georgia Brown Pomade" casts one immediately into the elegant days of the 1930s - the beautifully designed tin, the golden colour of the pomade; the warm, sweet scent. The fact that something so good is still being produced today, is almost a miracle. 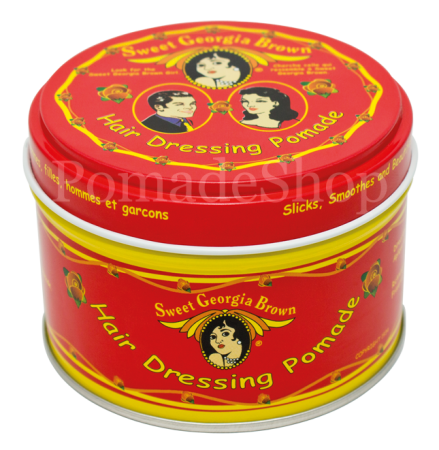 The "Sweet Georgia Brown pomade" had disappeared from the market for years and was only recently restored. This pomade is ideal for the "classic" look and for hard-to-manage hair. You‘ll get a natural shine and control for the whole day – just two of the many reasons why it so popular with Barber Shops. 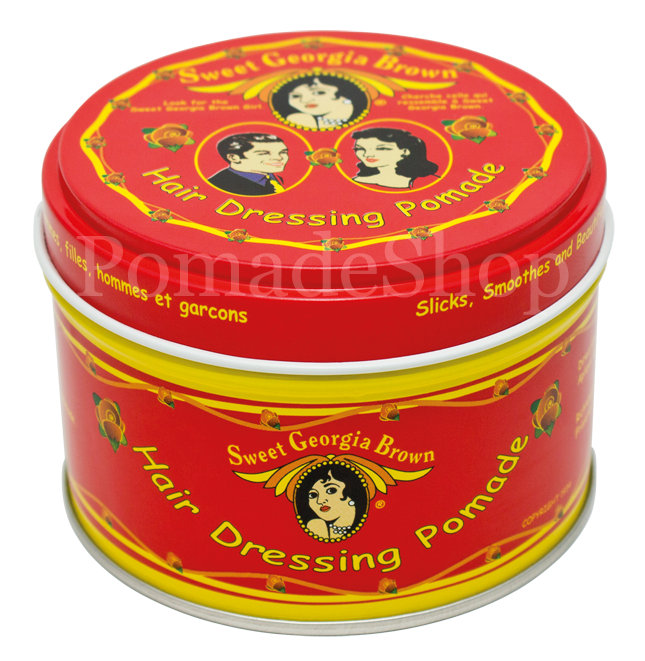 links to "Sweet Georgia Brown Hair Dressing Pomade ("Red")"
customer reviews on "Sweet Georgia Brown Hair Dressing Pomade ("Red")"